Philadelphia, PA (APRIL 18, 2014)–Two undefeated fighters remain in the Boxcino 2014 Middleweight tournament. 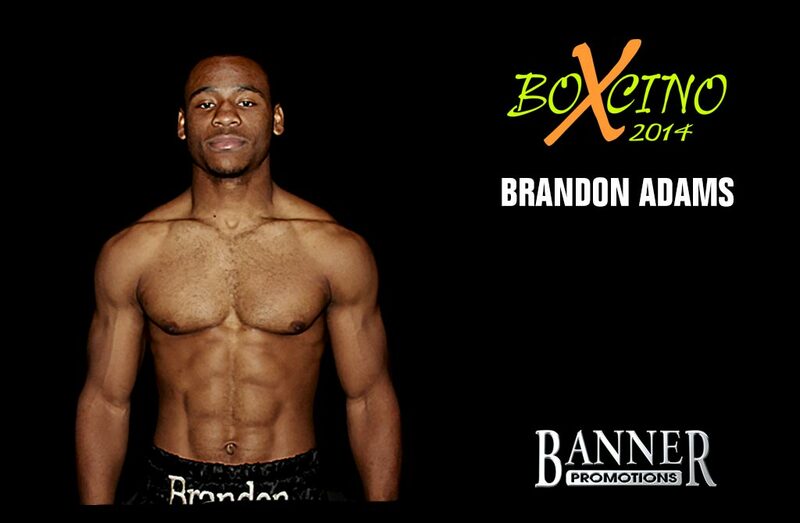 Brandon Adams of Los Angeles raised a lot of eyebrows with his 4th round stoppage over Daniel Edouard in the quarterfinals that took place on February 28 in Hammond, Indiana. Adams, who is now 13-0 with 9 knockouts takes Raymond Gatica (14-2, 9 KO’s) in the 8-round semifinal bout this tonight at the Turning Stone Resort Casino in Verona, New York. The bout, along with the 2nd semifinal bout between undefeated Vitalli Kopylenko and Willie Monroe Jr. will be broadcast live on ESPN2, ESPNDeportes+ and WatchESPN beginning at 9 pm ET. Adams was very happy with his 1st performance in the national stage with the stoppage win over Edouard. “I did what my corner wanted me to do. My camp wanted me to work off the jab. We watched a little bit of tape on him and we wanted to see where he positioned himself,”said Adams. With the quick 6-week turnaround, Adams did not much have much time to savior his impressive victory. After their respective fights on February 28, Gatica and Adams had a very respectable if not friendly exchange in the middle of the ring. Adams also has a lot of respect for Gatica the fighter and expects a good show for the fans. With the 1st fight down, Adams sees that he can be the Boxcino champion. “I am satisfied that we took care of the 1st fight. I am not looking past Gatica. This is one fight at a time and I dream of winning. I am going for Brandon Adams. i feel strongly and I look forward to giving the audience at Turning Stone and watching on ESPN what they want to see on April 18,” said Adams.